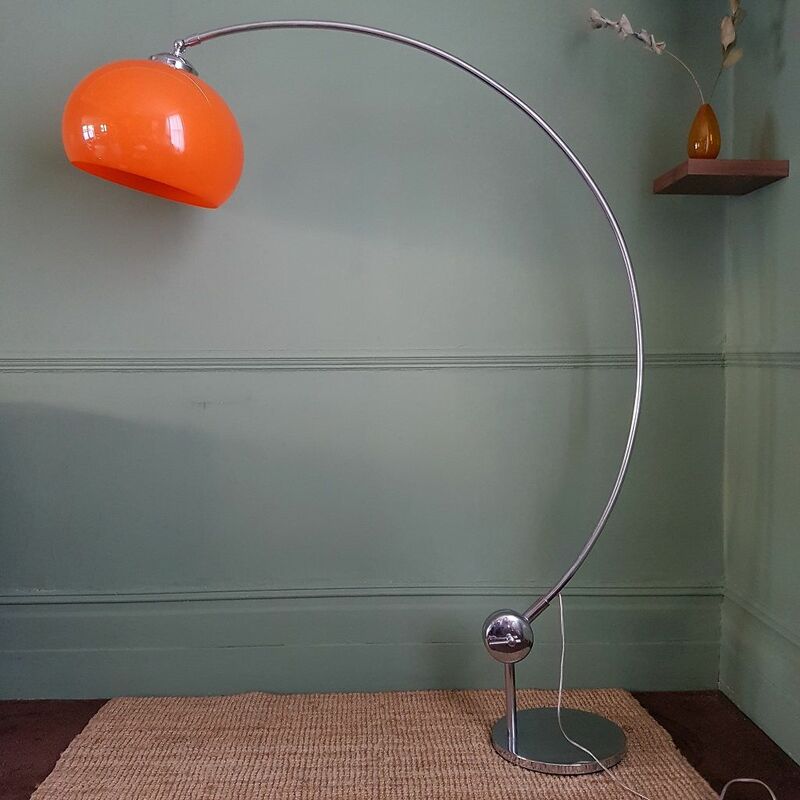 A gorgeous 1960s/70s Italian Arc Floor Lamp. 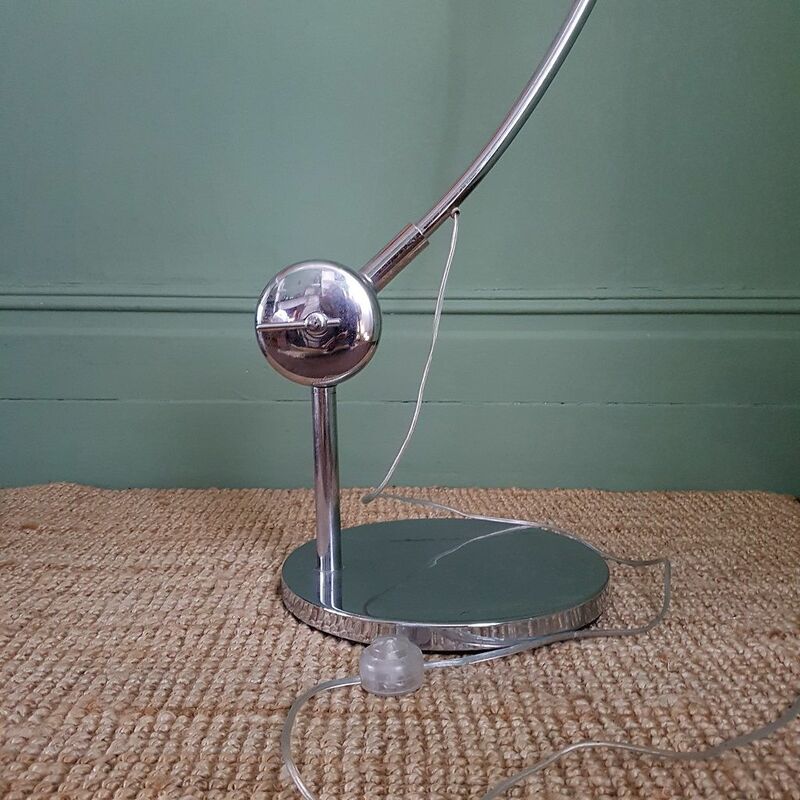 We think this vintage Arc Lamp is a cut above the others because the proportions are so perfect and the shape, especially the straight piece between the chrome foot and arc, is particularly stylish. 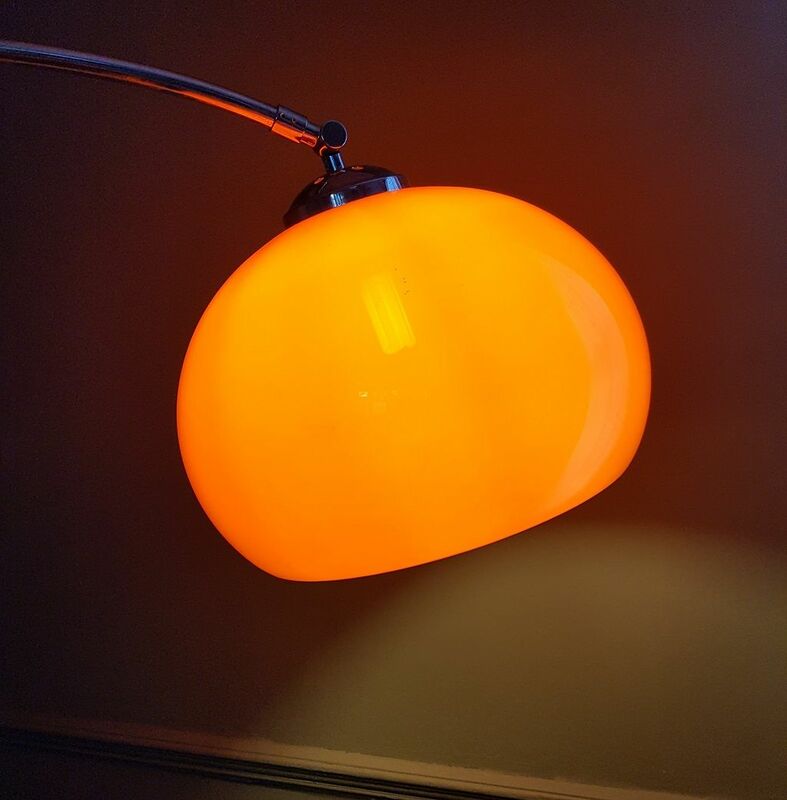 The orange acrylic shade creates a wonderful warm light when lit and a lovely pop of colour when unlit. 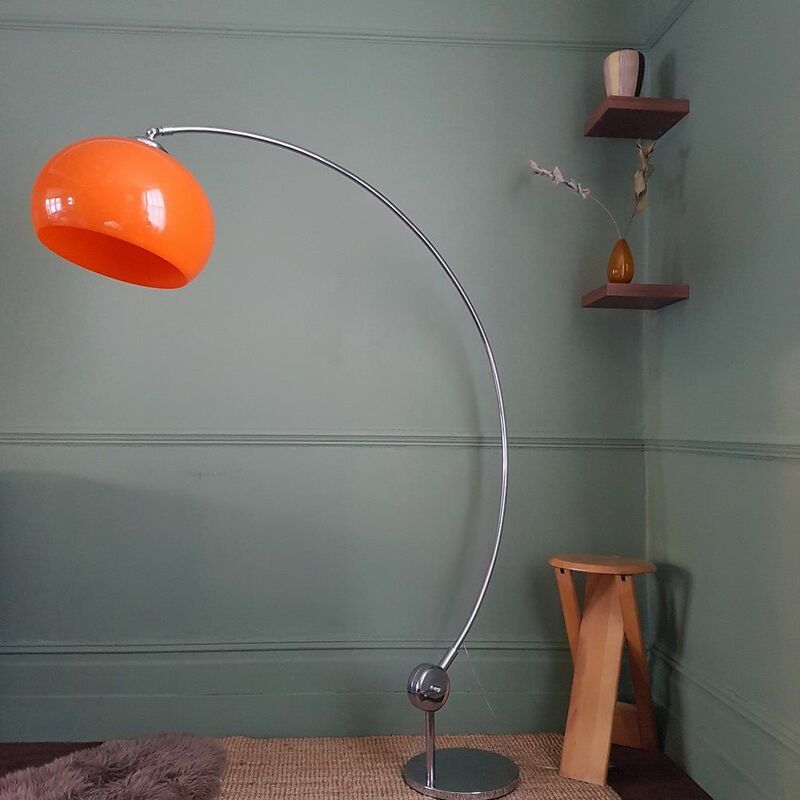 The shade and the arc are both adjustable There are no Guzzini labels on the lamp (it does say made in Italy on the switch) but our research has brought us to the conclusion that it is a Guzzini. 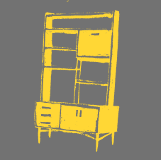 We can't however 100% guarantee it. 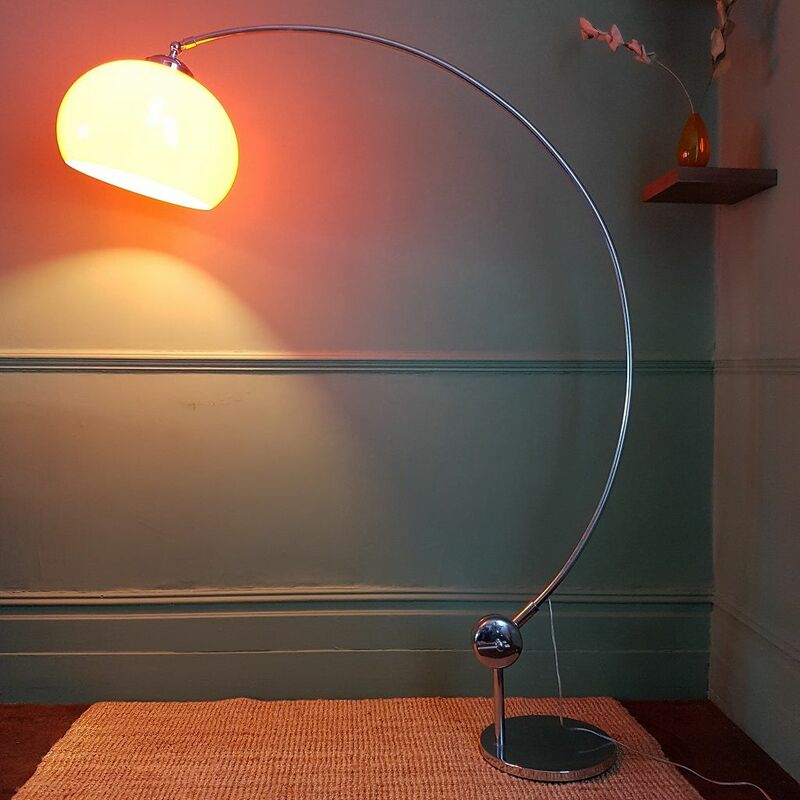 Guzzini lighting is definitely worth having a look at and investing in; and an eye catching piece like this would be a stunning addition to your home.